We have been providing first aid training for over 20 years to schools, kindergartens, child care centres, universities, massage therapists, students and general industry across metropolitan Melbourne. 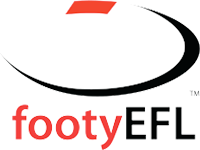 First Aid Management are the official course provider for the Eastern Football League (EFL). Find out more about their required sports trainer courses. 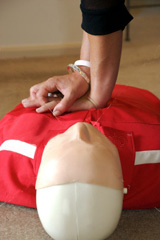 We can also run all of our first aid courses at your premises. Please contact our office for more information on our on site first aid training. First Aid Management is an accredited training and first aid organisation providing first aid skills and abilities, including CPR, to individuals and organisations across Melbourne. All our trainers are fully accredited, and you will end up with a valid first aid certificate at the end of your training course. We can carry out training courses according to your needs, at a location of your choice, and in a time frame of your choice, even evenings and weekends. Every workplace and home needs at least one first aid accredited member. We can also help you in planning, adapting, and restocking your first aid kit according to your needs or the needs of your organisation. We provide a tailored personal service and will be happy to assist you with any follow up queries you might have on receipt of your certificate.